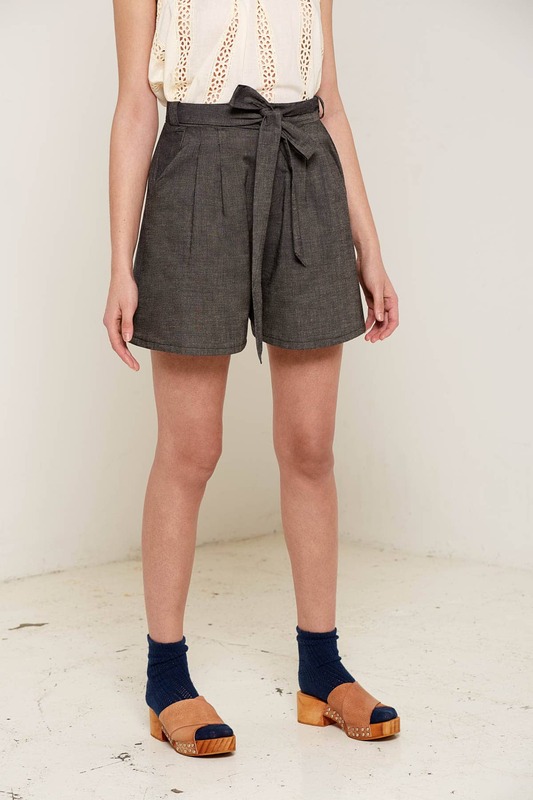 These relaxed, lightweight Isadora shorts with removable belt are made from 100% certified organic crossweave cotton and perfect for those hot summer days. Designed and made in England. Available in red, blue and charcoal.